Ultem amorphous thermoplastic polyetherimide (PEI) . Ultem is available in transparent and opaque custom colors, as well as glass filled grades. Plus, Ultem copolymers are available for even higher heat, chemical and elasticity needs. Ultem resins uniquely balance both mechanical properties and processability, offering design engineers exceptional flexibility and freedom. Standard flow Polyetherimide (Tg 217C). Resin is RoHS compliant. UL94 V0, V2 and 5VA listing. US FDA and EU Food Contact compliant. 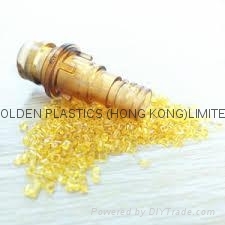 10% Glass fiber filled, enhanced flow Polyetherimide (Tg 217C) with internal mold release. Resin is RoHS compliant. UL94 V0 and 5VA listing. 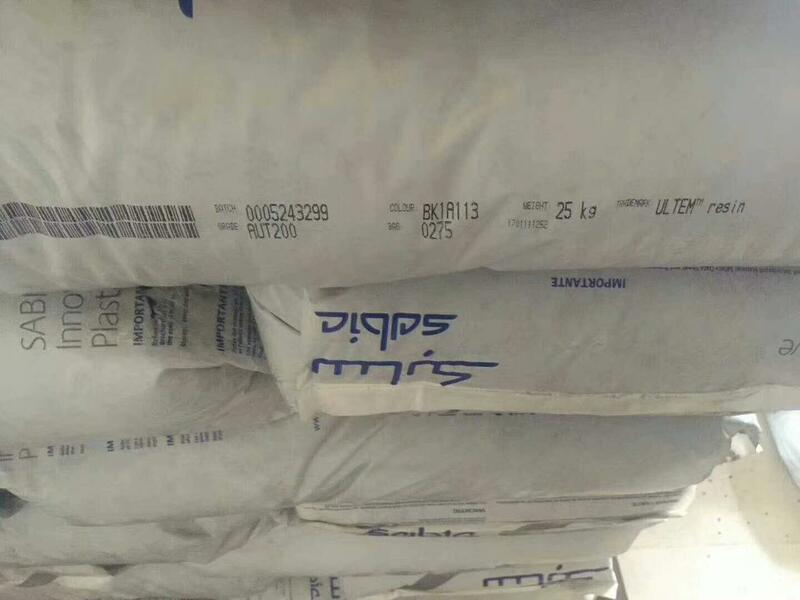 30% Glass fiber filled, standard flow Polyetherimide (Tg 217C). Resin is RoHS compliant. US FDA and European Food Contact compliant. 30% Glass fiber filled, high flow Polyetherimide (Tg 217C) with internal mold release and enhanced electroplatability. Resin is RoHS compliant. UL94 V0 listing. 30% Milled glass filled, enhanced flow Polyetherimide (Tg 217C). Resin is RoHS compliant. UL94 V0 and 5VA listing. High flow Polyetherimide blend. Meets FAR 25.853 and OSU 65/65 with low toxicity, smoke, and flame evolution. transportation industry due to its high strength-to-weight ratio and its FST (flame, smoke, and toxicity) rating. Standard flow Polyetherimide Blend. Meets FAR 25.853 and OSU 65/65 with low toxicity, smoke, and flame evolution. standard flow Polyetherimide (Tg 217C). ECO Conforming, UL94 V0, V2 and 5VA listing. 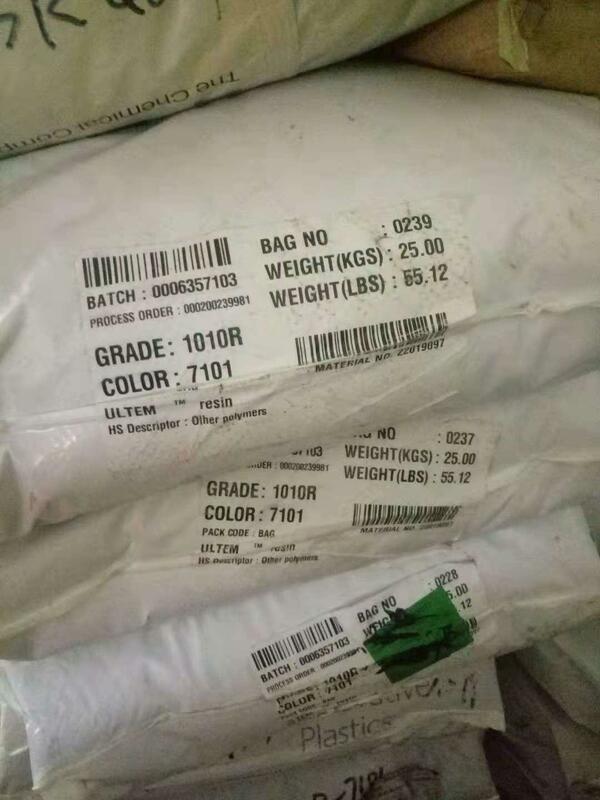 US FDA and EU Food Contact compliant, NSF 51 listing, compliant in natural color.Transparent. Available 3 color: amber natural 1000,black 7101,grey-clear GY7G350T. Transparent, standard flow Polyetherimide (Tg 217C). ECO Conforming, UL94 V0, V2 and 5VA listing. US FDA and EU Food Contact Compliant, NSF 51 Listing. Standard flow Polyetherimide (Tg 217C). ECO Conforming, UL94 V0, V2 and 5VA listing. Transparent, enhanced flow Polyetherimide (Tg 217C). ECO Conforming, UL94 V0 and 5VA listing. US FDA and EU Food Contact compliant, NSF 51 listing. available 2 color: 1000 amber natural,7101 black. Enhanced flow Polyetherimide (Tg 217C) with internal mold release. ECO Conforming, UL94 V0 and 5VA listing. 10% Glass fiber filled, standard flow Polyetherimide (Tg 217C). ECO Conforming, UL94 V0 and 5VA listing. NSF 51 listing, WRAS certification in recognized colors. 10% Glass fiber filled, standard flow Polyetherimide (Tg 217C) with internal mold release. ECO Conforming, UL94 V0 and 5VA listing. 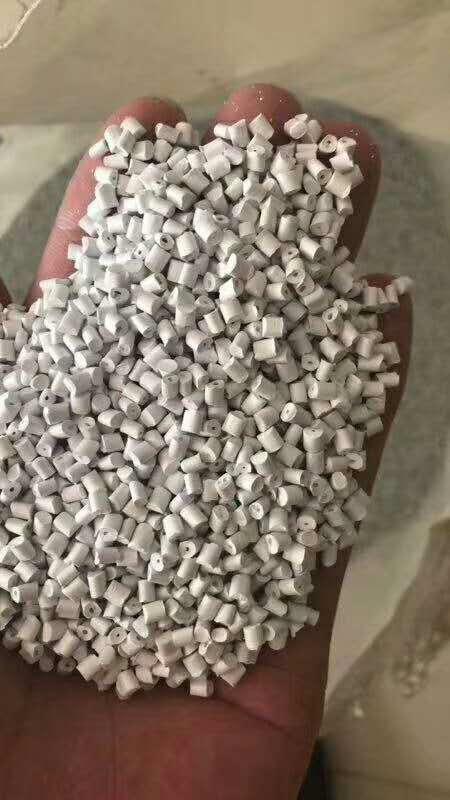 10% Glass fiber filled, enhanced flow Polyetherimide (Tg 217C). ECO Conforming, UL94 V0 and 5VA listing. 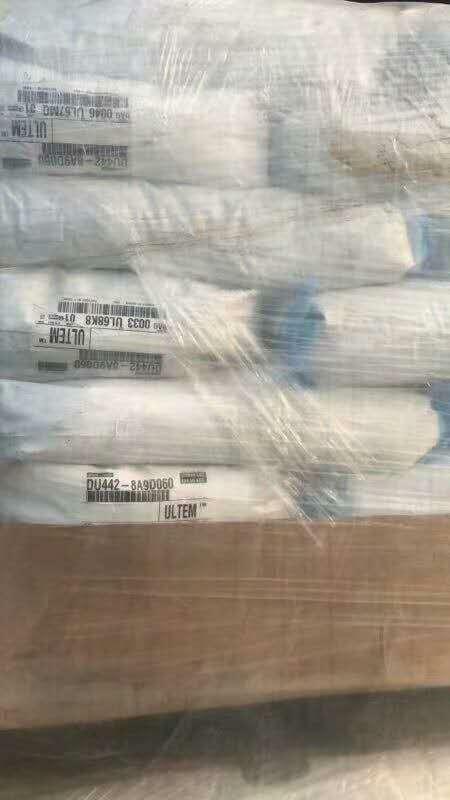 20% Glass fiber filled, standard flow Polyetherimide (Tg 217C). ECO Conforming, UL94 V0 and 5VA listing. NSF 51 listing, WRAS certification in recognized colors. 20% Glass fiber filled, standard flow Polyetherimide (Tg 217C) with internal mold release. ECO Conforming, UL94 V0 and 5VA listing. 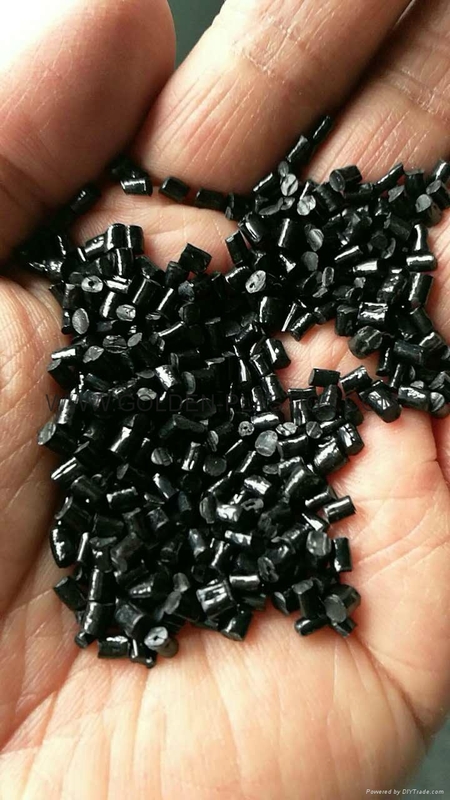 20% Glass fiber filled, enhanced flow Polyetherimide (Tg 217C). ECO Conforming, UL94 V0 and 5VA listing. 20% Glass fiber filled, high flow Polyetherimide (Tg 217C) with internal mold release and enhanced electroplatability. ECO Conforming, UL94 V0 and 5VA listing. 20% Glass fiber filled, enhanced flow Polyetherimide (Tg 217C) with internal mold release. ECO Conforming, UL94 V0 and 5VA listing. 20% Milled glass filled, high flow Polyetherimide (Tg 217C) with internal mold release. ECO Conforming, UL94 V0 and 5VA lising. 20% Milled glass filled, high flow Polyetherimide (Tg 217C) with internal mold release and enhanced electroplatability. ECO Conforming, UL94 V0 and 5VA lising. 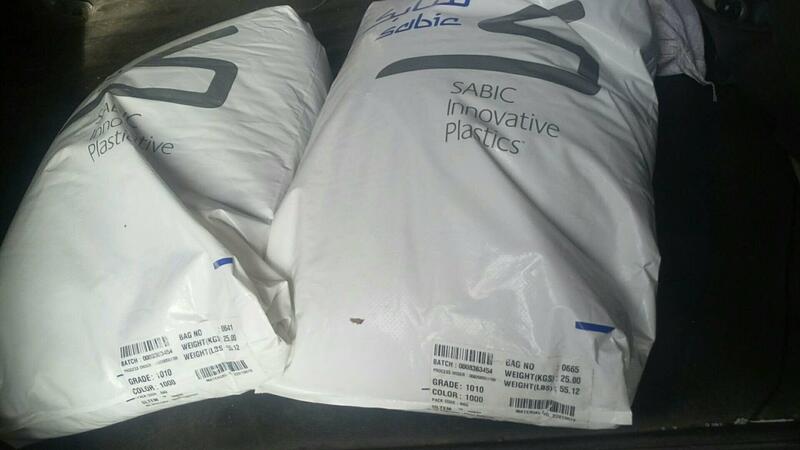 30% Glass fiber filled, standard flow Polyetherimide (Tg 217C). ECO Conforming, UL94 V0 and 5VA listing. 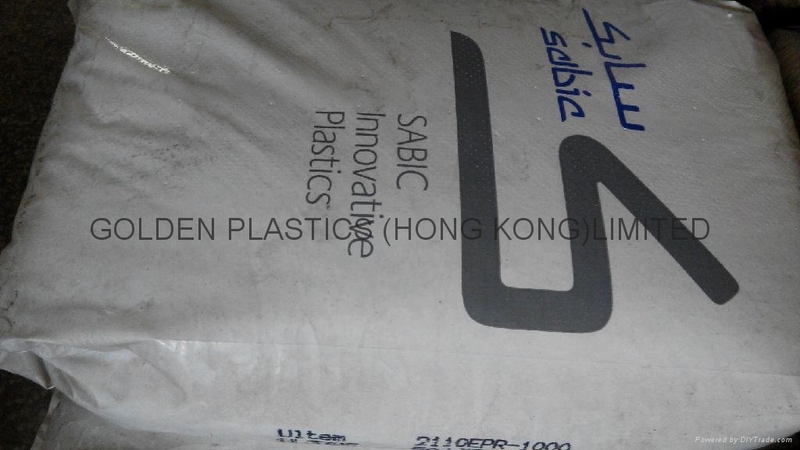 30% Glass fiber filled, enhanced flow Polyetherimide (Tg 217C) . ECO Conforming, UL94 V0 and 5VA listing. 30% Milled glass filled, high flow Polyetherimide (Tg 217C) with internal mold release and enhanced electroplatability. ECO Conforming, UL94 V0 listing. 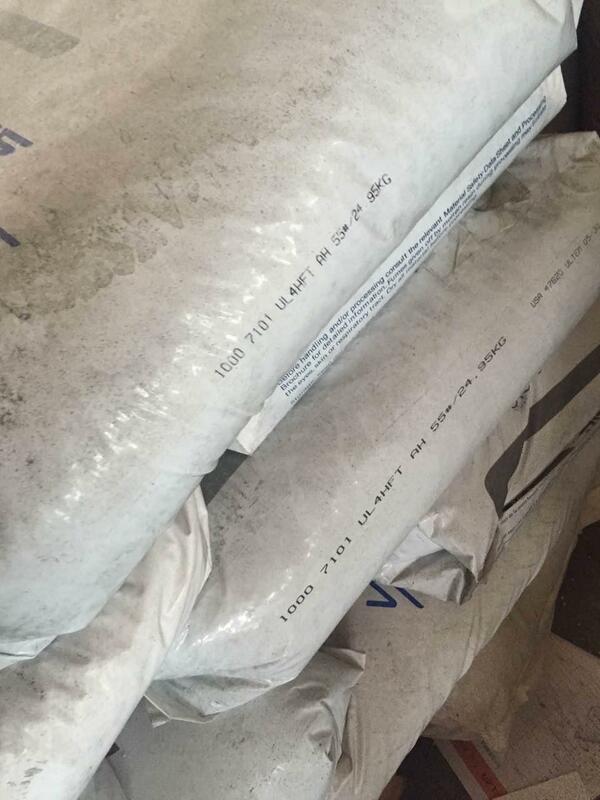 40% Glass fiber filled, standard flow Polyetherimide (Tg 217C). ECO Conforming, UL94 V0 and 5VA listing. WRAS certification in recognized colors. 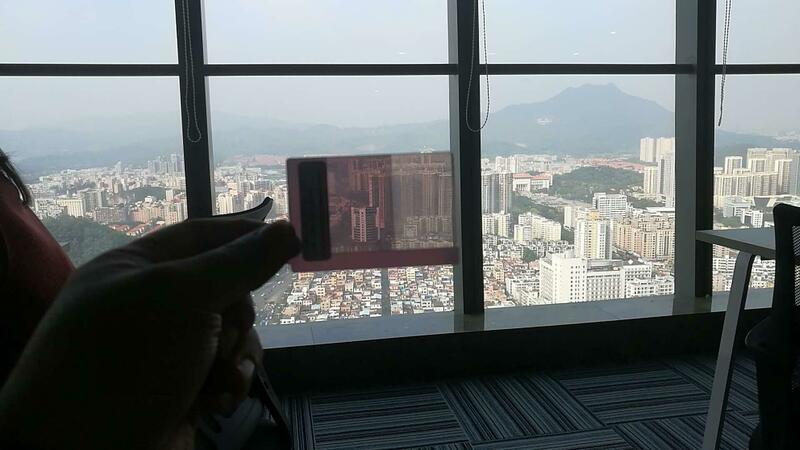 45% Glass fiber and mineral filled, enhanced flow Polyetherimide (Tg 217C) with enhanced dimensional stability. ECO Conforming, UL94 V0 and 5VA listing in recognized colors. 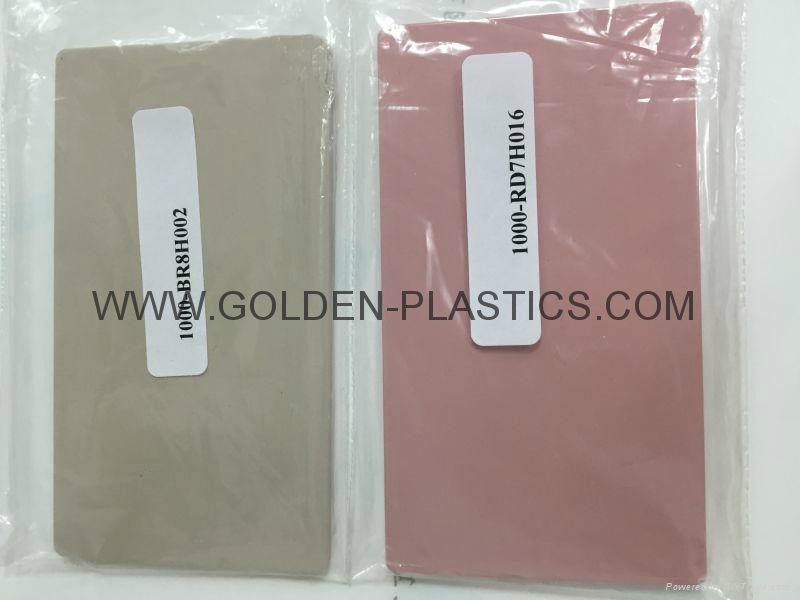 ULTEM 4001 PTFE filled,standard flow polyetherimide(Tg 217C).ECO Conforming,UL94-V0 and 5VA LISTING. ULTEM ATX100 Opaque,Hydrolytic stability,PEI/PC-Ester blena,offers higher impact performance & Very high flow compared to ULTEM-1000 resin,Food contact ,Metallizable without primer. 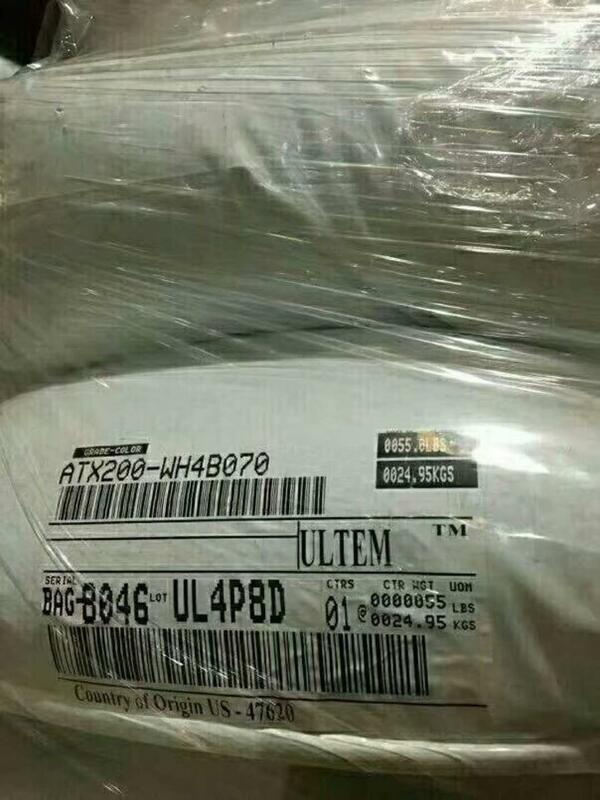 ULTEM ATX200F Opaque,hydrolytic stability,High flow polyetherimide/Polycarbonate-ester blend,All performance over ATX100.ECO conforming,UL94-V0 listing,US FDA food contact compliant. ULTEM DU316 Opaque,high impact,PEI/PC-ester blend,ECO conforming. ULTEM DU319 Opaque,high impact,PEI/PC-ester blend,ECO conforming. ULTEM DU242 Opaque,enhanced low temperature impact,high flow PEI/PC-ester blend.ECO conforming. Transparent, Standard flow Polyetherimide copolymer (Tg 225C) with enhanced chemical resistance to strong acids, bases, aromatics, and ketones. ECO conforming, UL94 V0 listing. Enhanced flow, Specialty filtered, Sabilized Polyetherimide (Tg 225C) with enhanced chemical resistance to strong acids, bases, aromatics and ketones. ECO Conforming. 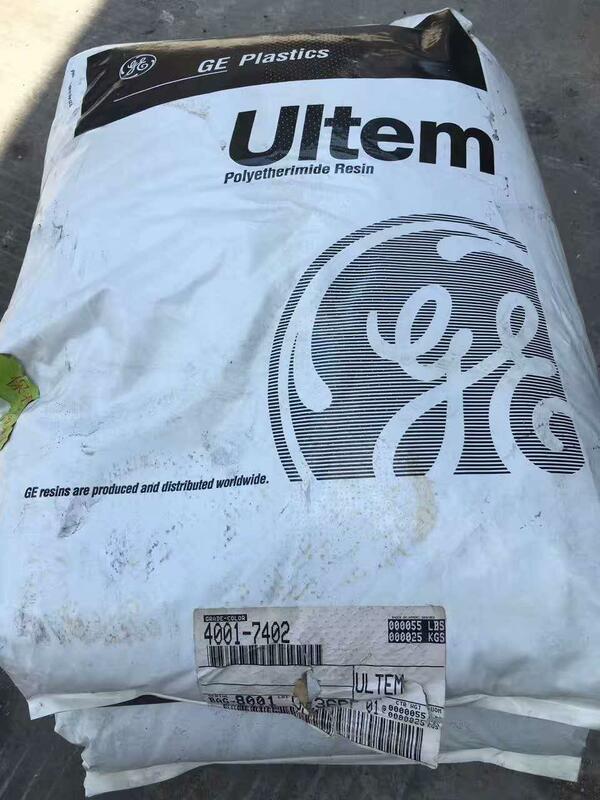 Siltem 1600 is a flexible copolymer designed for wire and cable applications. It offers a halogen free (according VDE 0472) flame retardant solution that also offers low smoke emission and toxicity. It is an amber colored transparent material that can be selfcolored and easily processed on conventional equipment. The material may also have a fit in flexible profiles or injection molded parts. Transparent, high flow Polyetherimide (Tg 217C). ECO Conforming. 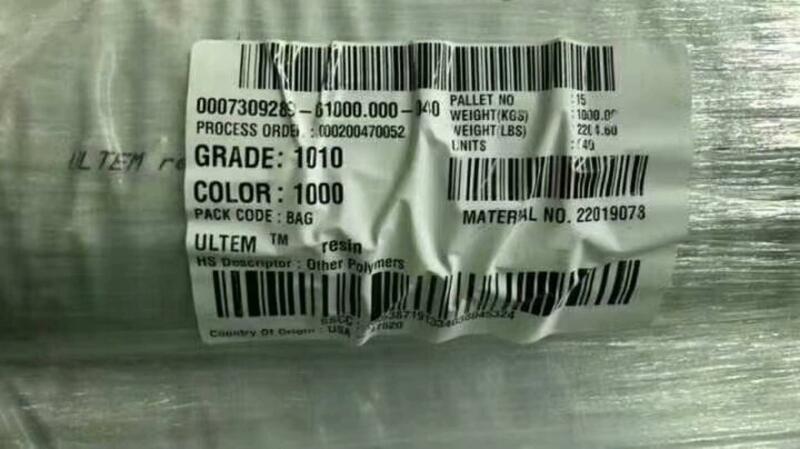 US FDA and EU Food Contact Compliant.